I am a member of the Collective Bias® Social Fabric® Community. This shop has been compensated as part of a social shopper amplification for #CollectiveBias and its advertiser. #EatMoreBites All opinions are honest and are my own. Oh my goodness people! 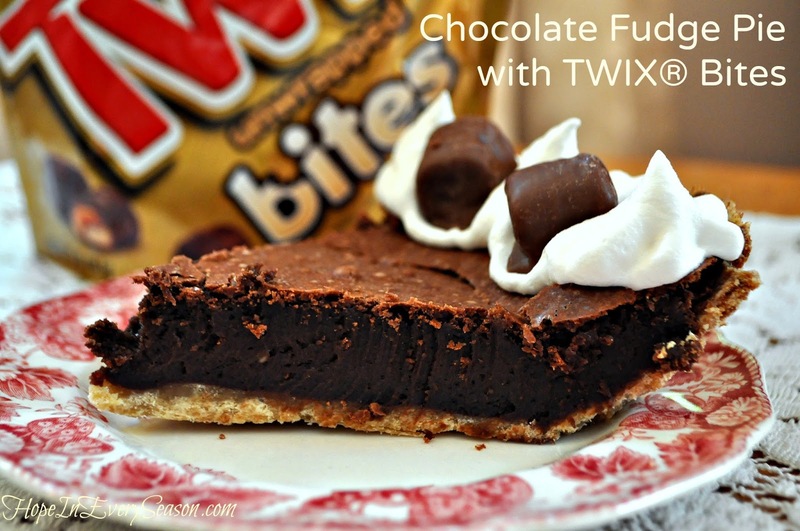 I made this Chocolate Fudge Pie a few days ago (of course it's all gone now) and now, sitting here writing this, I am totally craving more of the TWIX® Bites I used to garnish it. In fact, I just called my husband, who is on his way home from work, and begged him: "Please! Grab me some more Bites on your way home!" Craving will soon be satisfied! 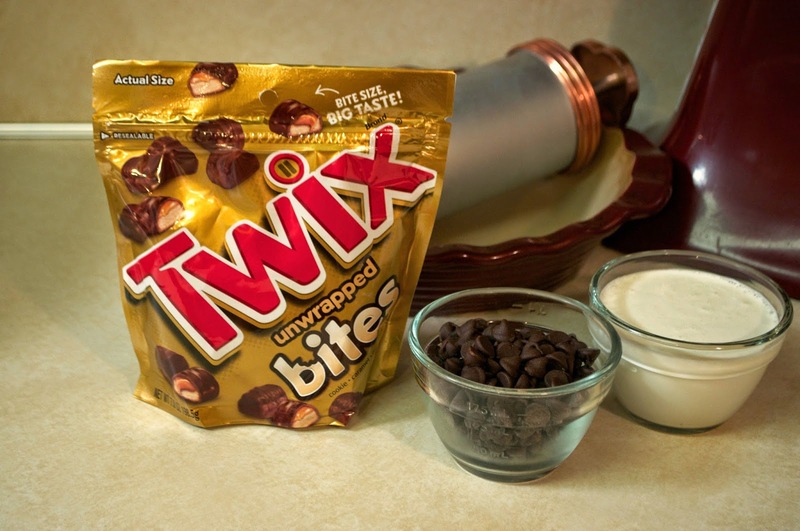 I have to tell you right off that I love these unwrapped Bites even more than regular TWIX®---and that's saying a lot because it's one of my very favorite candy bars! 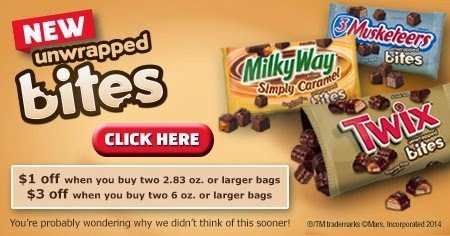 I think the caramel is thicker on these or something---they're just awesome! So last week, I wanted to make my family a delicious chocolate dessert using these Bites as a garnish. 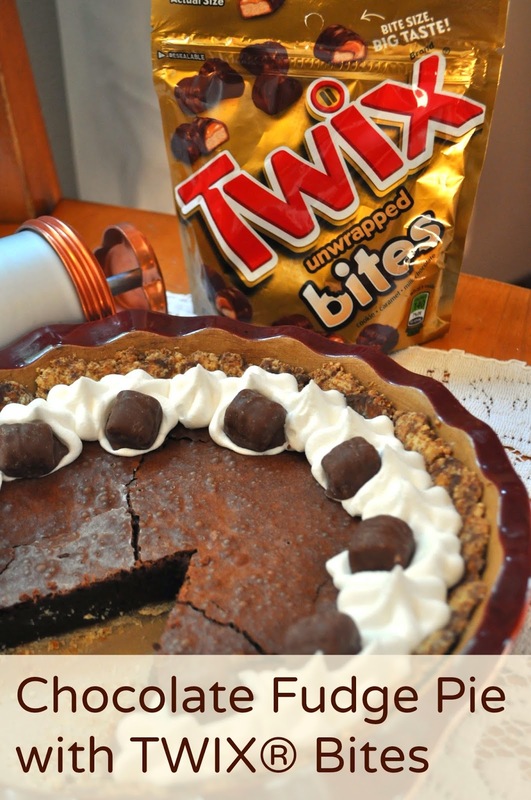 I came up with this fudgy pie and the Bites were a perfect compliment. Make sure to check out the recipe, as well as my YouTube tutorial at the end of the post, for detailed instructions. I think I'm going to rename it Alligator Pie, though. Doesn't this picture make it look like an alligator face with the two Bites as eyes? 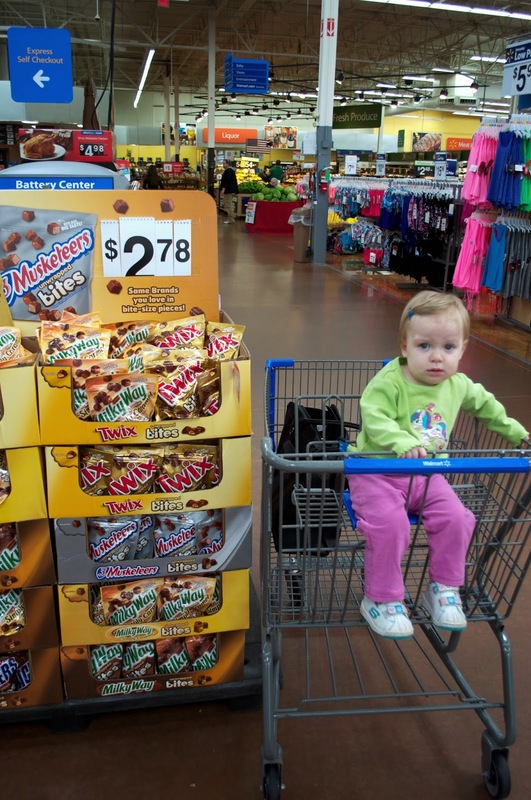 Brenna had a doctor's appointment last week, so we made a day of it and went shopping for TWIX® Bites at Walmart. There was a big display of them at the front of the store near the checkouts. Later in the week we went back for more, (no I'm not kidding) and Walmart was having a demo! Yay! 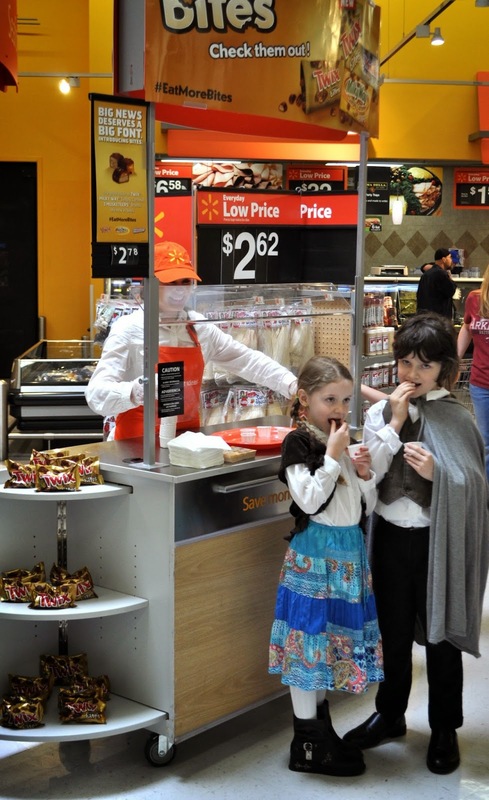 This time Selah and Cainan (aka Rosie Cotton and Frodo Baggins) got to come along and try them out at the demo counter! The demonstrator girl was super sweet and she even gave us coupons! Speaking of coupons, make sure to grab yours on Social Twist. The pie was super easy to put together. First, I melted some butter and then mixed it up with a fork, along with some flour and brown sugar, right in the pie pan. The brown sugar made the crust kind of crunchy like toffee. You could use the same amount of powdered sugar instead for a shortbread crust. I patted the mixture up the sides of the pie pan first, and then patted the rest of it along the bottom of the pan. I'm not too great at making the pretty fluted edges so I didn't pat it all the way up to the rim. You'll bake it for just five or six minutes and then take it out of the oven to cool a couple minutes before filling. Next you're going to mix eggs, salt, and sugar for 5-10 minutes, until frothy. I apologize for this sorta blurry and sorta ewww picture, but I wanted to show you what your egg mixture should look like. 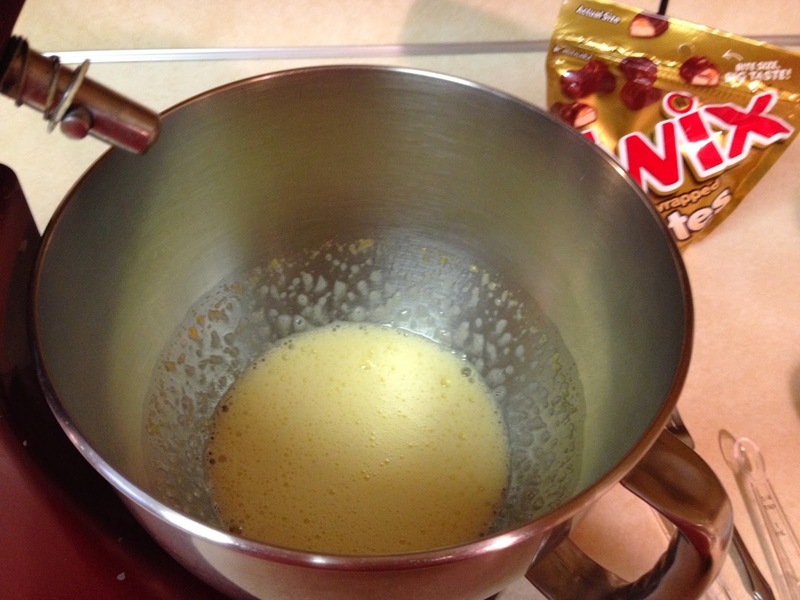 In the meantime, you'll be melting chocolate and butter to add to this once it's done mixing. You'll mix it all up, pour it into the crust, and continue baking until set. Then it's just a little bit of cooling down time and straight to the fridge to finish it up. 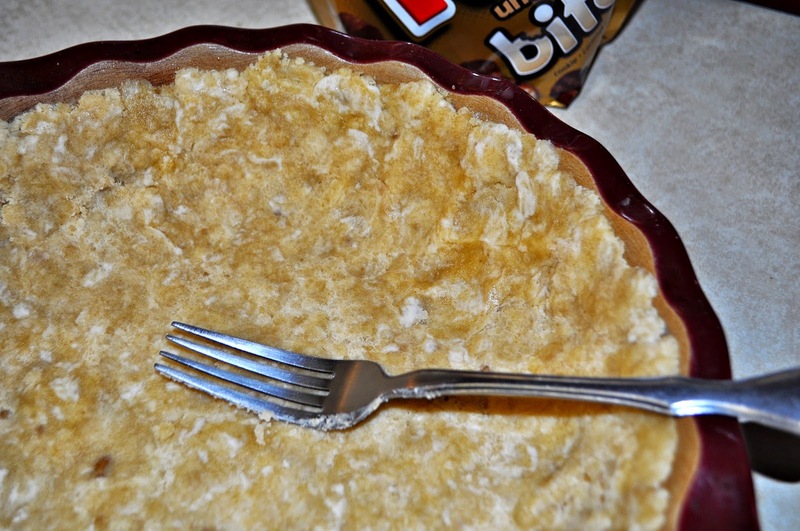 This pie is best served cold, as that's what really brings out the fudgy texture. You can whip up your own sweetened whipped topping, or use store bought, and then garnish with your favorite flavor of Bites. Your tummy will thank you! Beat eggs, salt, and 1/2 c. sugar on high, 5-10 minutes, or until mixture is frothy. While this is beating, melt chocolate and 1/2 c. butter and stir until smooth. 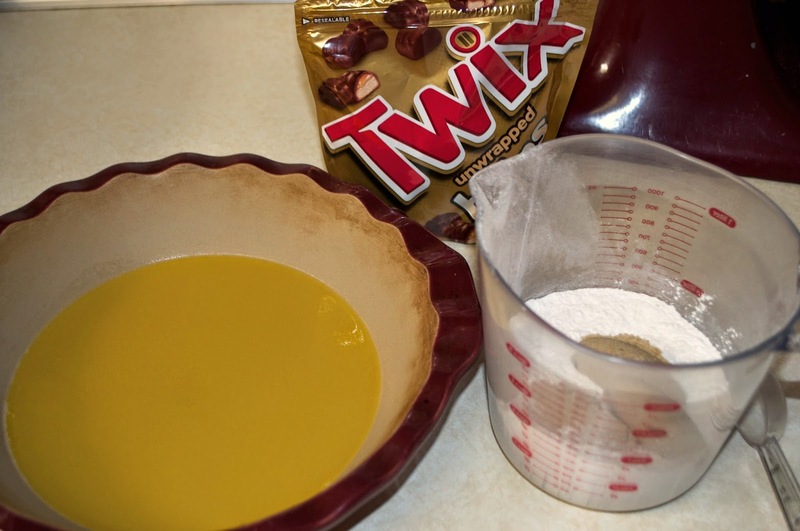 When egg mixture is ready, stir a little bit into the chocolate mixture and mix well. Then pour in the remaining and stir well. Pour it all into the crust and bake another 20-25 minutes, or until the filling is puffed up and starting to crack on top. Cool on the counter for about an hour, and then refrigerate until cold all the way through. Garnish with whipped topping and TWIX® Bites. Don't forget to grab that coupon! Make sure to check out my YouTube tutorial. I'm really excited about it---it's my first one! That sounds so good , but rich. You are so talennted in everthing you do. I was in the wrong line when they handed it out. Aww..thanks, LV! You are always a blessing to me. Thanks for stopping by! I am going to make this....I am really craving chocolate right now, thanks to you! Glad I could be of service...ha! Oh my, talk about death by chocolate. lol! thanks for sharing the recipe with SYC. Chocolate lovers will be drooling. That looks fantastic Sarah! I am sure there were no leftovers. The Homemaking Party --- Liam Turns Four!